As both a researcher and action-oriented member of the LGBT community, I am acutely aware of the lack of data on LGBT employees in the workplace. There are several reasons for this, such as the way segments of the LGBT population are defined and variations in methods from one survey to the next. Most important, however, is LGBT employees’ fear of retaliation if they openly identify as LGBT—a reasonable concern given the lack of protections worldwide against discrimination because of sexual orientation. One thing that we can now show empirically is the importance of an inclusive culture to progress for LGBT employees. In “When She Rises, We All Rise,” Accenture Research showed that in more inclusive company cultures, women are more likely to thrive and to advance at work. Further analysis of the data reveals how workplace culture matters for LGBT workers as well. More than 1,500 women and men from 31 countries who self-identify as LGBT participated in the survey. By identifying 40 workplace factors that create a culture of equality—including the 14 cultural drivers that matter the most—we’re able to understand the impact that certain workplace characteristics have on the experience of LGBT employees worldwide. Are three times more satisfied with their career progression and almost one and a half times more likely to aspire to be/are in a senior leadership position. 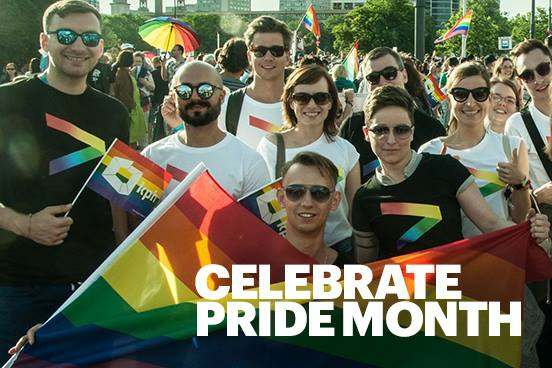 On a personal note, I am constantly impressed with Accenture’s commitment to the belief that no one should be discriminated against because of their age, disability, ethnicity, gender, gender identity and expression, religion or sexual orientation. This unwavering commitment to the principle that every employee belongs is fundamental to our culture and core values.